Finger Print Module MC20FP is an extension module for Nvis Microcontroller development platforms. The module has been designed for students and practicing engineers to gain invaluable practical experience on the principle and applications of microcontroller & Finger print module. - Identification < 0.8 sec. 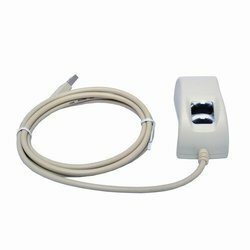 Rajvision Security System offers a Biometric Fingerprint Reader with USB port for report transfer. Leveraging on our certified vendor base, we offer a great performing range of Fingerprint Scanner. 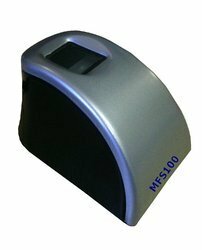 These scanners are designed and developed in conformity with the quality standards set by the industry. This range is tested on diverse rigorous parameters so as to assure their fault-free nature.